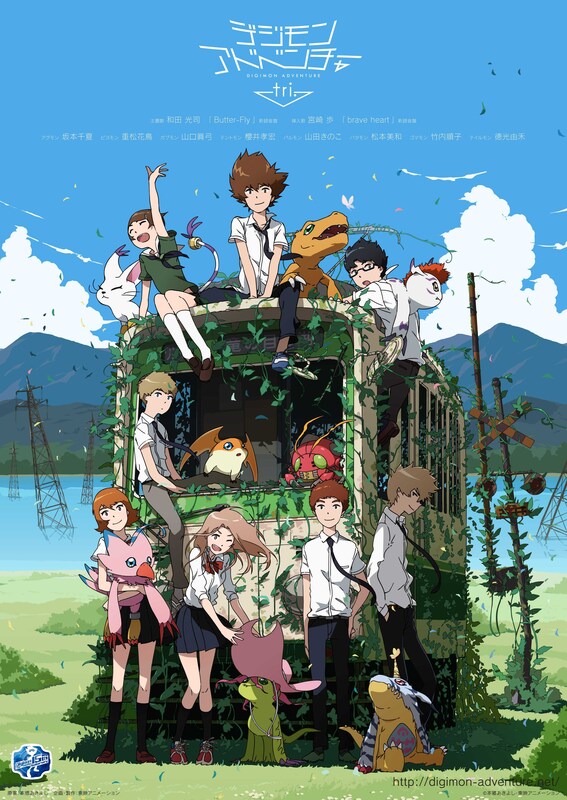 The official Twitter account for the upcoming Digimon Adventure tri. anime has just unveiled the key visual for the show and suffice to say, it now has set the hype train rolling. The visual shows the train the Digidestined supposedly used to get back to the human world after the final battle with Apocalymon. It also confirms the return of arguably two of the most recognizable themes in anime: “Butter-Fly” by Wada Kouji and “brave heart” by Ayumi Miyazaki. The series is being directed by Keitaro Motonaga (Date A Live, Katanagari) with scripts by Yuuko Kakihara (Persona 4: The Animation, Sora no Otoshimono) and character design by Atsuya Uki (Tsuritama, Cencoroll). It is scheduled to air in April 2015. You can get a higher-resolution version of the key visual from this link. ← FROZEN 2 OFFICIALLY ANNOUNCED!